We are putting together a collection of photographs from all over Wales. The idea being to showcase some of the best spots to visit in our beautiful country. All photographs are the property of Coast and Country Holidays unless specified otherwise. Please respect all copyright permissions. You are free to share the images via social media channels and to use for your own private use. Please direct any enquiries regarding the photographs of Wales on this website to ‘enquiries (at) welsh-cottages.co.uk’. 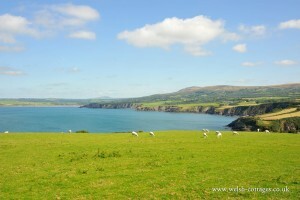 Many thanks and we hope that you enjoy viewing the photographs of Wales on this website.